ServiceNow Store Apps reviews by real, verified users. 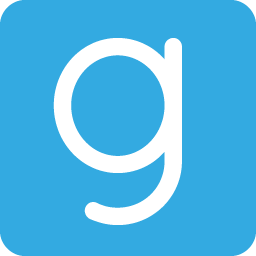 Find unbiased ratings on user satisfaction, features, and price based on the most reviews available anywhere. The Okta Identity Cloud for ServiceNow application is the fastest and easiest way to integrate the Okta Identity Cloud with ServiceNow. 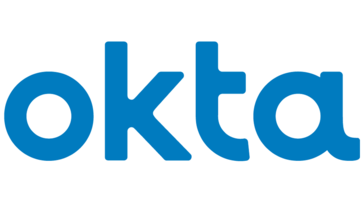 This app brings the power and flexibility of Identity and Lifecycle management from Okta to ServiceNow in an easy to use package which integrates seamlessly into the existing ServiceNow identity provider framework. Have you ever exported data from ServiceNow to an outside tool to create presentation quality reports? Have you been trying to find a way to tell stories with your ServiceNow data? Have you found your organization trying to offer data visualizations to end-users or customers in the Service Portal or outside of the traditional "itil" view? Do you have the need to display ServiceNow data on a wall monitor? Have you ever needed to create a custom chart but couldn't justify the amount of time it would take? VividCharts addresses each of those problems and can alleviate the pain associated with them. 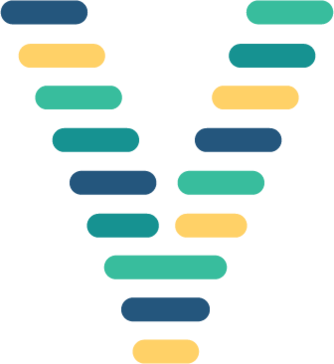 VividCharts is a data visualization platform built entirely on the ServiceNow platform with the intention of offering high-end data visualizations to ServiceNow customers. For any data visualization challenge you encounter, come to VividCharts. APTARE Backup Manager is a complete solution for backing up and restoring data. This unique web-based console lets you access your backup and recovery data at any time, from any location, using any browser. Best Practice Engine (BPE) not only identifies your current deficiencies, it also allows you to monitor and control development activities to proactively improve the quality of your system and support ongoing efforts to improve the system over time. Plat4mation supports clients all over the world to realize IT-transformations with @ServiceNow. We are the only company in the world with a Triple Gold status. Clear Skye Identity Lifecycle Management (ILM) automates enterprise access management and compliance. It maintains enterprise identities, accounts, entitlements and roles along with documented approvals, owner accountability, access reviews and dashboards for all functions. Applicant Tracking System makes it easy to assign different levels of user authorization. Create portals for hiring managers, applicants, recruiters and employees. View task lists, integrate email with calendar and use people analytics to acquire quality talent, fast! CoFigure offers an integrated suite of HR applications built on the ServiceNow® platform. CoFigure is an @IntegRhythm company. Learning Management works with Performance Management to deliver a fast and effortless way to assess employee skills, identify opportunities for development, and schedule appropriate learning programs. With CoFigure's Performance Management, collaborate with teams to plan and track objectives and development needs. Align smaller tasks to bigger goals. Deliver all these using persona based portals for a great user experience. Increase visibility, ensure regulatory compliance, and mitigate risk of your healthcare technology resources with an innovative solution designed for clinical engineering. We work directly with ServiceNow Customers and Partners to enable them with capability specific to the CMDB and ServiceNow Discovery. Upgrade your compliance and audit processes by bringing them into ServiceNow using eCheck. With a responsive mobile aware interface, empower your team to supply the data you need. It works for anything from performing building safety assessments to ensuring quality in manufacturing. Attivio is the leading cognitive search and insight platform company. Focusing on the customer in this way changes IT. Rather than targeting discrete technical outcomes, focus shifts to end-to-end – going from customer request to outcome. The concept of a Service Owner arises as people begin to accept responsibility for what the customer wants and how the customer measures that, without excuses. CreatorDoc will change the way you work. The CreatorDoc app automates document creation and management in ServiceNow. And it is customised to your company, business unit, team, individual employees, customers, suppliers and partners. ToolBox streamlines the onboarding of construction staff and subcontractors, safety and OHS. It also tracks staff interaction with equipment and materials on the construction site. VisitUs App is for modern organisations. Fully integrated with your existing ServiceNow instance, the Visitor Management App allows for rapid and seamless tracking of visitors at each of your corporate locations. Since 2004, Form I-9 Compliance, LLC has provided simple solutions to help employers comply with federal Form I-9 and E-Verify regulations. Hiper Hipo People Planner is an express workforce planning application built and certified on the ServiceNow platform. Hiper Hipo People Planner simplifies and streamlines the workforce planning process helping your organization match its people needs to business demand. The coupling of People Planner's capabilities with the intelligent service management expertise of ServiceNow creates a valuable solution for the market. InGenius Connector Enterprise expertly integrates existing telephone systems into leading CRMs, with an enterprise-proven solution. Using innovative computer telephony integration (CTI) that offers maximum configuration flexibility and security, InGenius easily adapts to unique contact center needs. Backed by reliable expertise and superior customer care built over 20 years in the enterprise telephony space, InGenius helps contact centers increase productivity and enhance the customer experience. InGenius Connector Enterprise equips contact centers with features like screen pop, click-to-dial, automated call logging and call reports. The solution enables agents to efficiently serve customers and see a comprehensive view of interactions for intelligent decision-making. Fruition Partners creates agile, high performing IT organisations with IT4IT Take full control of your complete IT value chain. With an agile IT4IT approach we help you make the change successfully. With our Jamf Integration you can now automate and simplify the process of importing your asset data into your ServiceNow CMDB. A modern service portal is a pivotal foundation of your digital transformation. By modern, we mean user experiences matching the standards of the best internet consumer services. Keralia brings unique design and implementation skills for business and IT service portals alike on the ServiceNow platform. Our developers master both web technologies and ServiceNow's Service Portal, which is a key asset for creating a truly customized portal that reflects your enterprise. We also deliver that expertise for IT service portals on BMC and Micro Focus platforms. MaestroRS orchestrates the business and IT disaster recovery management effort across the enterprise by bridging the gap between business continuity and IT disaster recovery. Nuvolo today announced the availability of its new Medical Device Cyber Security Platform® integrated with ServiceNow Security Operations to help healthcare providers' IT, security and clinical engineering teams strengthen their cyber security posture and reduce risk across their medical device fleet. MobiChord is changing the way telecom is managed by placing a service-oriented lens on the activities, tasks and processes involved in managing telecom. MobileIron is a leader in security and management for mobile apps, content, and devices. MobileIron's mission is to enable organizations around the world to embrace mobility as their primary IT platform in order to transform their businesses and increase their competitiveness. Global companies rely on MobileIron's scalable architecture, rapid innovation, and best practices as the foundation for their Mobile First initiatives. MobiChord empowers ServiceNow customers to leverage and extend their ITSM platform to manage mobile including assets, expenses, usage and services. Nuvolo provides secure and integrated operational technology management that empowers business agility and growth. At Atlantic Puffin we believe that building apps is all about delivering exceptional quality products that bring significant added value to our customers. We just love what we do! As a team made of Service Management experts, engineers, designers and ServiceNow gurus, we're aiming at stirring the app market towards innovation and customer centric approach. Companies are realizing that IT could be a (disruptive) competitive advantage, if done correctly. Agile4U is ideal for organizations who are in the transition from an individual team approach on Agile to a structured scaled Agile way of working. Connector4U makes it possible to quickly configure integrations (with any ServiceNow table) on your ServiceNow instance and provide multiple integrations within a single ServiceNow instance. Offer your employees an easy and efficient way to reserve cubicles. Maximize office space and improve employee satisfaction with this ready-to-use cubicle reservation module. Facility4U is an app suite that consists of multiple applications. Improve overall facility service, efficiency, and (end) user satisfaction. Hi there! Can I help you find the best ServiceNow Store Apps solutions?